In Dungeons and Dragons, items must be worn or wielded in specific slots. For example, you can only wear one pair of magic boots at a time. 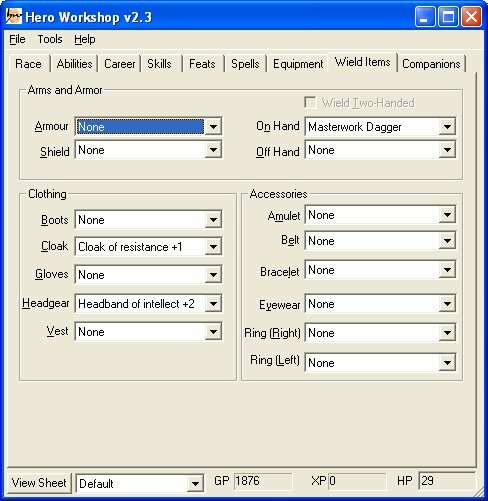 This dialog allows you to specify which armor and magic items are being worn and which weapons are being held.